As General Counsel, Priya oversees the various legal aspects of Brixton and its affiliates and provides oversight and a legal perspective for the acquisition, leasing and disposition of properties. She has 20 years of broad based experience in real estate including acquisitions, dispositions, development, leasing, finance, and operations covering multifamily, retail, residential, hospitality and office assets. 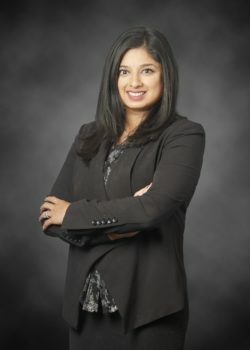 Before joining Brixton, Priya held General Counsel positions at both Sea Breeze Properties and Kelly Investment Group. Prior to moving into in-house counsel roles, Priya worked for Procopio, Cory, Hargreaves, & Savitch and Solmon, Ward, Seidenwurm, & Smith in their real estate, corporate and finance practice groups. Priya is a graduate of the University of British Columbia, Faculty of Law (Vancouver, Canada) and obtained a Bachelor of Arts degree in Criminology and Political Science from Simon Fraser University. She is admitted to the American Bar Association, State Bar of California, and San Diego County Bar Association (Member of Real Estate Law). Contact Priya at (858) 683-7100 or phuggett@brixtoncapital.com .